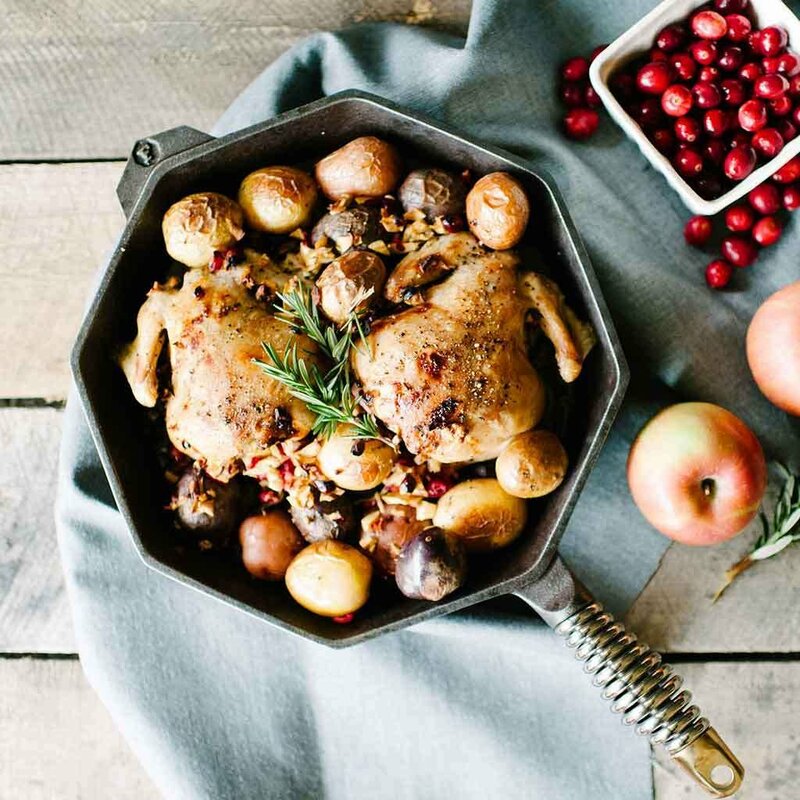 Dimensions: 17.2" x 10.4" x 3.2"
Each skillet is assembled locally to exacting standards by hand from premium American cast iron, polished stainless steel and a brass cap on top. The thick cast iron makes this skillet built for long-lasting heat retention on stovetops, ovens, grills, campfires and other cooking surfaces. Each skillet is made in a unique octagonal shape with a ribbed helper handle on the front lip to avoid any messy spills. An easy release polished cooking surface means less sticking, less splatter and less fussy cleaning with this skillet.